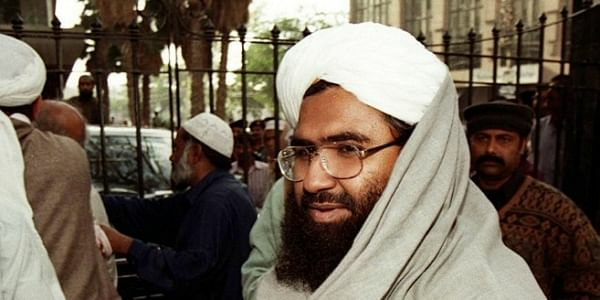 India has been seeking to blacklist Azhar, the Jaish-e-Mohammed chief, after Pakistani terrorists attacked the airbase at Pathankot in Punjab on January 2 last year. NEW DELHI: A Communist Party of China official said here on Tuesday that Beijing was "considering and investigating" India's proposal to get Pakistan-based terrorist leader Masood Azhar listed on the UN terror catalogue. Ma Xiangwu, however, said China had to look into all aspects of backing the move "considering whether if we were to support this decision will it grow into a bigger problem for China". He didn't elaborate while speaking to IANS on the margins of the 19th Asian Security Conference at the Institute of Defence Studies and Analyses (IDSA). India has been seeking to blacklist Azhar, the Jaish-e-Mohammed chief, after Pakistani terrorists attacked the airbase at Pathankot in Punjab on January 2 last year, killing seven Indian security personnel. "In Taliban sanctuary, there is a China camp which has around 320 Uighur terrorists," Ma said, acknowledging that Islamabad has been cooperating with Beijing in its fight against the separatist group that China blames for violent unrest in its far western region of Xinjiang. Ma said Pakistan had been repatriating Uighur militants and "will repatriate all these terrorists". "Last year, 20 of these terrorists came back to China. They will be tried based on the crimes they have committed. They will be given appropriate punishment."